Noah's (Martin Henderson) Award Plaque from the 2002 horror film The Ring. 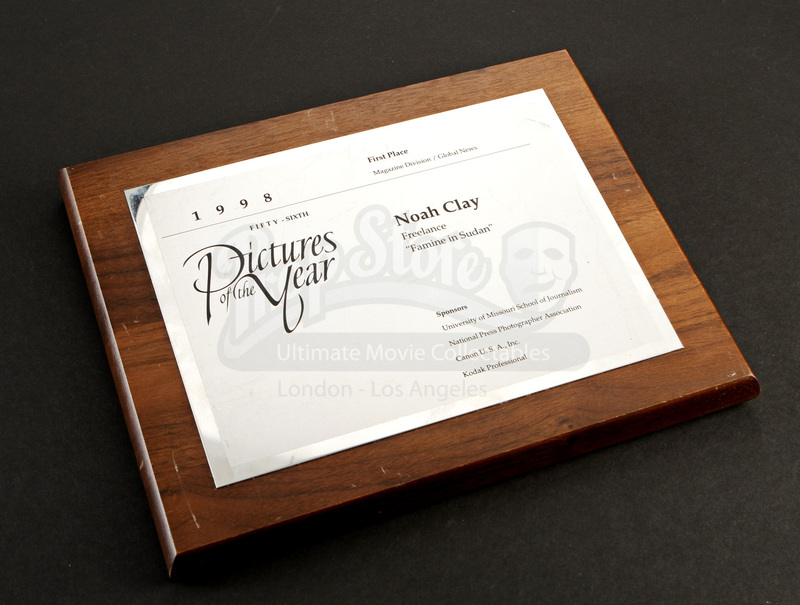 In the film, investigative reporter Rachel Keller (Naomi Watts) tries to uncover the connection between an ominous video cassette and a string of mysterious deaths. 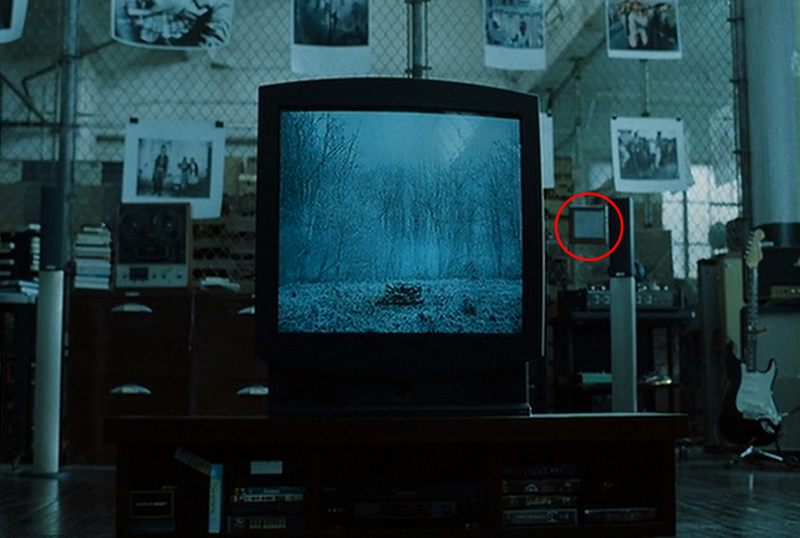 This item can be seen hanging behind the television in Noah's apartment, before his fateful encounter with Samara. 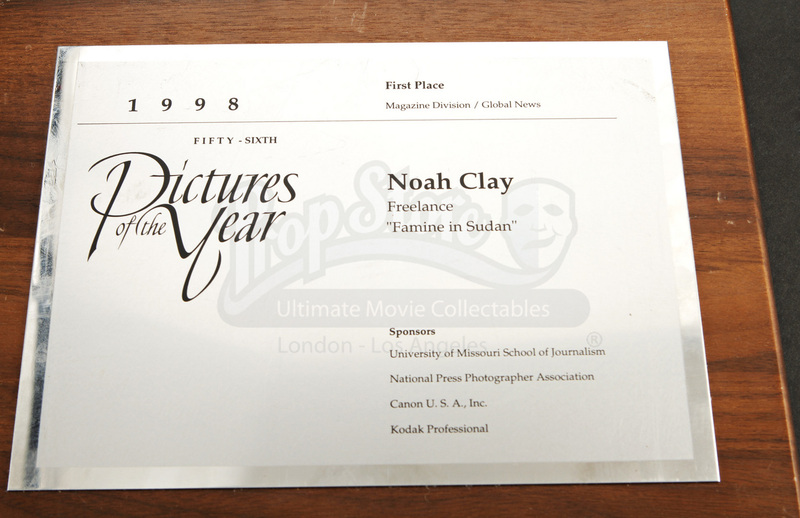 This wooden plaque features a metal plate indicating that Noah won first place for his freelance work depicting "Famine in Sudan." 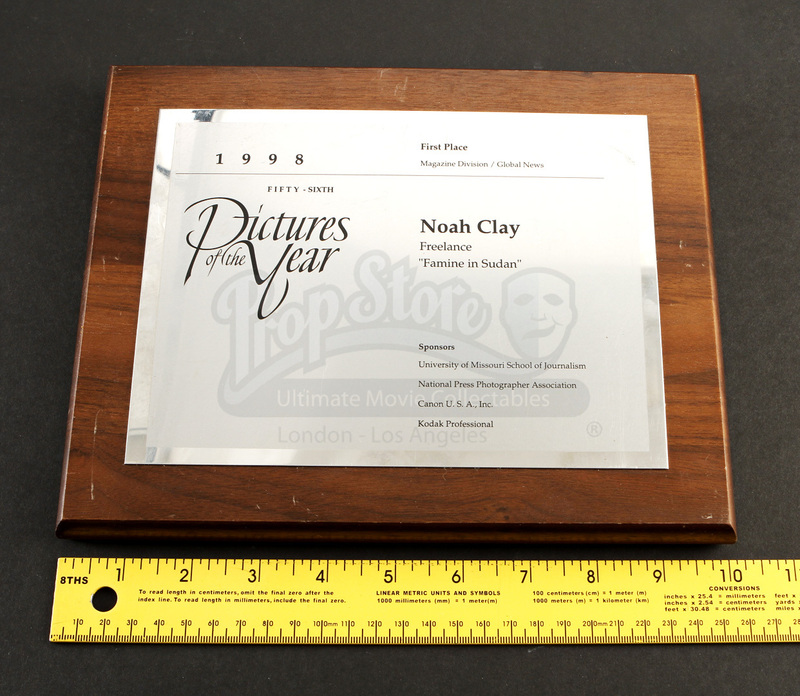 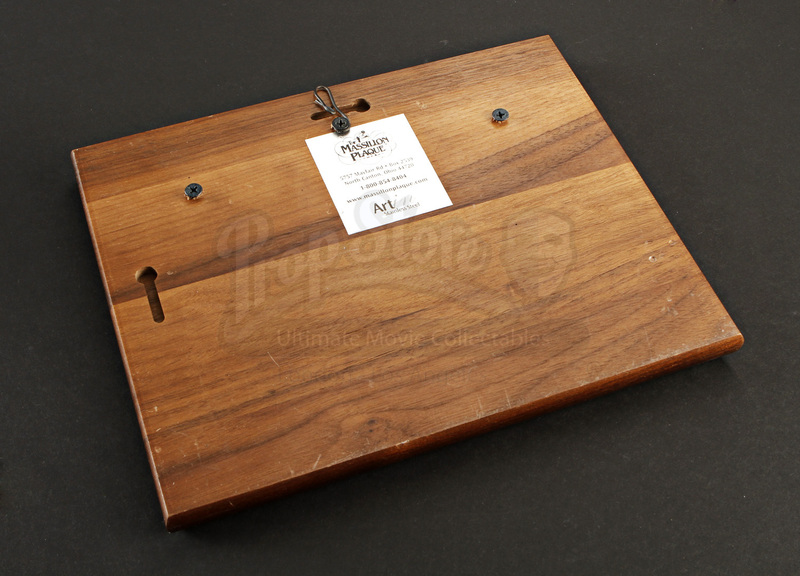 The plaque measures approximately 10" x 1" x 8" (25cm x 3cm x 20cm) and while it features minor scuffs and scratches from production use (see photos) it remains in good production used condition.